I love both, but in lieu of Valentine’s Day, I decided to try my hand at doing a simple, string heart on a piece of board. I started by visiting my local Home Depot and scoring a piece of not-so-expensive wood. I bought nails (Wire Nails 1.75″) and used string (Aunt Lydia’s Crochet Thread) that I already owned from Michaels (I used 3 different colors). On a typical Colorado sunny day, it took 1 hour outdoors to complete this “little” project. I started by using some leftover grey paint to paint my board (one of the many sample cans I had collected when trying to choose “the perfect” grey paint for my walls). I then traced a heart onto white paper. I taped the heart paper to the board, and used a ruler to mark off equal spaces around the outline of the heart. This would tell me where to place each nail. I then began to hammer nails into the board at these markings, eyeballing to make sure each nail was hammered in approximately the same distance. Once all nails were in, I tore the paper off, and began stringing. No rhyme or reason, just stringin’! 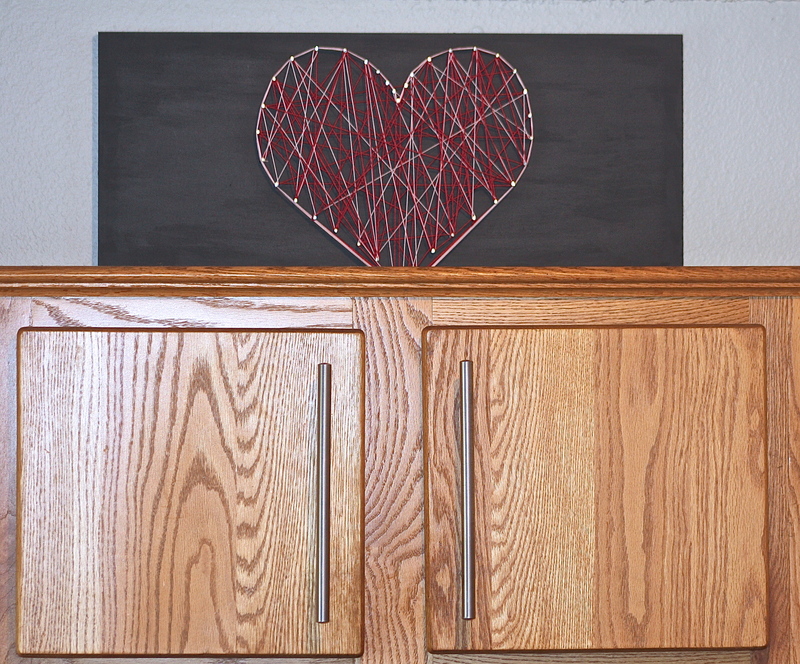 Now my new art heart sits atop my kitchen cabinets, and every time I look up at it, I smile. It is not perfect, but I am pleased. 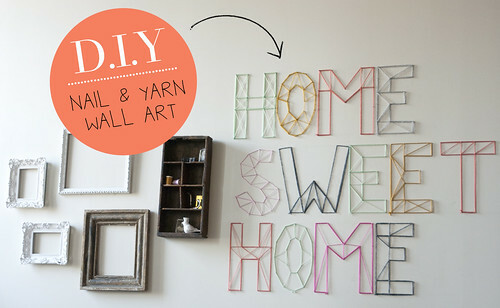 I plan on adding more string art to my home or perhaps do smaller ones for gifts. 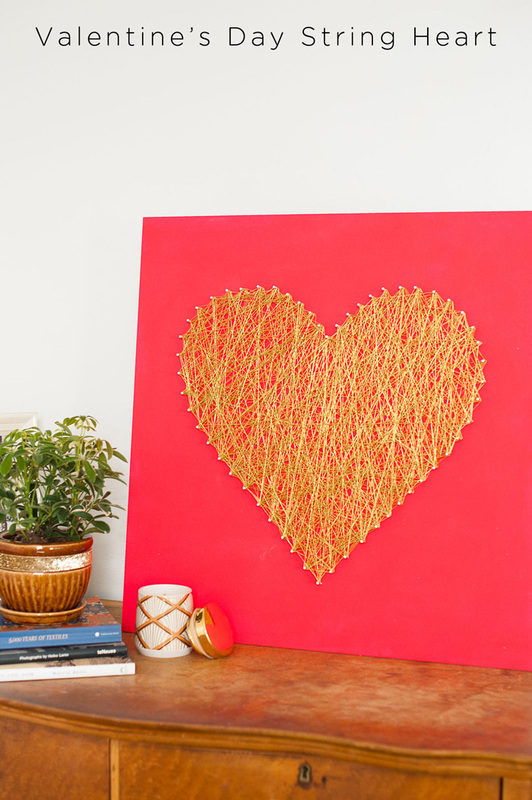 Have you done any simple string art projects? or have plans to add one to your home? Do you have something simple that you have made that makes you smile? Please share because sometimes it’s the little things.